First off, congratulations to newlyweds Rebecca Bortman and Bryan Garza. 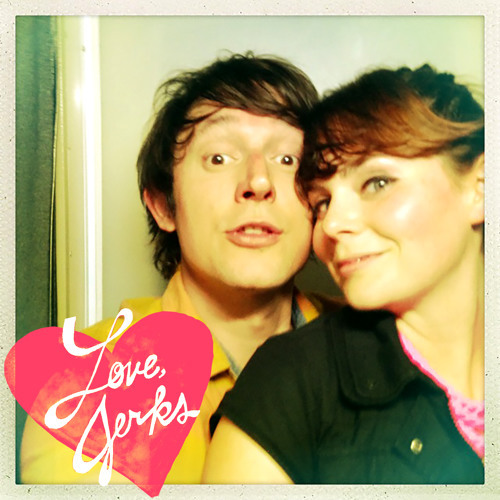 The duo behind Love, Jerks tied the knot this weekend in San Francisco, performing a marital rock opera for family, friends and a select number of fans of the band and its members’ other acts, Happy Fangs (Bortman) and Scissors for Lefty (Garza). Released the day before their nuptials, “Gold Sparkle” is a recounting of the first meeting when those initial twitters of love swirled like drunken butterflies. Read here for more background on the serendipitous rock coupling of Bortman and Garza, and stream the blissful pop nugget “Gold Sparkle” below.